PURCHASE, N.Y.– The PepsiCo Foundation, the philanthropic arm of one of the world’s leading food and beverage companies, has announced a partnership with the global poverty-fighting organization CARE with an $18.2 million grant to tackle gender inequality in the agriculture sector. The grant will provide 5 million female farmers and their families around the world with education, resources and economic support to help them increase their crop yields, incomes and access to nutrition locally. This partnership is part of a broader effort by PepsiCo to support a more sustainable food system by empowering women in its own agricultural supply chain, including through its Sustainable Farming Program currently active in 38 countries, and by investing in multisector agricultural programs that have the potential to achieve systems change at scale. Women account for nearly half of all agricultural labor in developing countries and work as much as 13 hours more per week than men, often without training, proper tools, like seeds and fertilizers and rights to their land. Research shows that if female farmers had the same access to resources as men, they could increase yields on their farms by 20–30 percent, potentially reducing the number of hungry people in the world by up to 150 million. To meet the nutrition needs of a growing global population, CARE has launched She Feeds the World, the largest food and nutrition security program in its 70-year history, benefitting 50 million female farmers and their families in the developing world. As the largest private sector donor, The PepsiCo Foundation’s investment will help women access the resources they need to increase their production including land rights, financing and agricultural inputs such as seeds; access new markets for their products; and develop the skills and techniques to build resilient and sustainable farms. The grant will support women farmers in significant food producing countries and where PepsiCo and CARE work: Egypt, Guatemala, India, Nigeria, Peru and Uganda. PepsiCo and CARE are also launching a global campaign called “Closing the Crop Gap” to give women a platform to tell their own stories about the challenges they face in agriculture. This campaign spotlights five women farmers in India, Egypt, Guatemala, Poland and the United States with short-form videos created by female videographers from the same regions as the farmers whose stories they are sharing. Members of the public will be invited to vote for their favorite video, and in exchange, receive a credit for a kiva.org microloan that can be used to benefit other female entrepreneurs. The videographer who receives the most votes will be invited to create an extended, three-part docuseries that explores the experiences of women in agriculture. Voting begins on March 7 and more information can be found at closingthecropgap.com. PepsiCo products are enjoyed by consumers more than one billion times a day in more than 200 countries and territories around the world. PepsiCo generated more than $64 billion in net revenue in 2018, driven by a complementary food and beverage portfolio that includes Frito-Lay, Gatorade, Pepsi-Cola, Quaker and Tropicana. PepsiCo’s product portfolio includes a wide range of enjoyable foods and beverages, including 22 brands that generate more than $1 billion each in estimated annual retail sales. Guiding PepsiCo is our vision to Be the Global Leader in Convenient Foods and Beverages by Winning with Purpose. “Winning with Purpose” reflects our ambition to win sustainably in the marketplace and embed purpose into all aspects of the business. 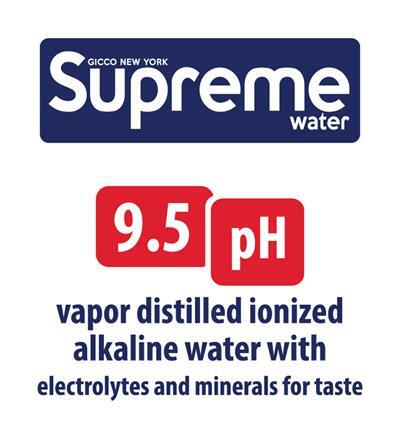 For more information, visit pepsico.com. 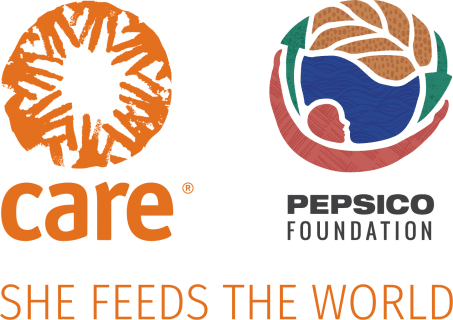 Established in 1962, The PepsiCo Foundation works with nonprofit partners and invests in the essential elements of a sustainable food system – helping alleviate hunger, manage water and waste responsibly, and support women as champions of nutrition from farm to family. Founded in 1945 with the creation of the CARE Package, CARE is a leading humanitarian organization fighting global poverty. CARE places special focus on working alongside women and girls because, equipped with the proper resources, they have the power to lift whole families and entire communities out of poverty. That’s why women and girls are at the heart of CARE’s community-based efforts to confront hunger, ensure nutrition and food security for all, improve education and health, create economic opportunity and respond to emergencies. In 2018, CARE worked in 95 countries and reached more than 56 million people around the world.